Oil fell about 2 percent on Thursday as the market was weighed down by concerns that global demand growth would lag in the coming year. A rebound from late December lows seemed to stall amid worries that a trade war between the US and China would continue, weighing on demand. The market also contended with the possibility that oil producers would not adhere strictly to cuts agreed to last year. Brent crude futures fell $1.06 a barrel, or 1.7 percent, to settle at $61.63. US crude futures fell $1.37 a barrel, or 2.5 percent, to settle at $52.64. "The correction is stalled, mainly on concerns about demand growth," said Gene McGillian, director of Market Research at Tradition Energy in Stamford, Connecticut. "There seems to be uncertainty about what is going to happen with the trade talks, with global economic growth and demand in the coming year," he said. "Supply fundamentals have increasingly been turning supportive in recent weeks, but against this the market still worries about the yet-to-be-realised - if at all - impact on demand from weaker macroeconomic fundamentals," said Ole Hansen, head of commodity strategy at Saxo Bank. Though the United States published robust jobs data last week, global markets remain nervous after China reported the lowest annual economic growth in nearly 30 years in January. That focuses yet more attention on the outcome of US-China talks to end the trade war between the world's top two economies. 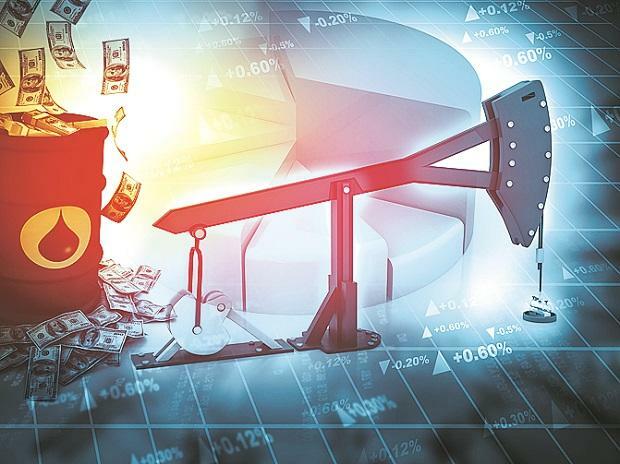 A decline in OPEC production and a squeeze on supply from Iran and Venezuela because of US sanctions have led many analysts to forecast that the market will be balanced in 2019. Price support is provided by supply cuts led by the Organization of the Petroleum Exporting Countries (OPEC) to tighten the market. Saudi Arabia, the world's top oil exporter, told OPEC it had pumped 10.24 million barrels per day (bpd) in January, two OPEC sources told Reuters, a deeper cut than targeted in the supply pact. The kingdom pumped 10.643 million bpd in December. "We believe that financial markets may be overestimating the risks of a global recession," said Jean-Pierre Durante, Head of Applied Research at Pictet Wealth Management. "Moreover, lower oil prices - prices were between 14 percent and 18 percent lower in January than their 2018 average - are likely to stimulate economic activity and oil demand, particularly in emerging markets." US sanctions against Venezuela's oil industry are expected to freeze sales proceeds of Venezuelan crude exports to the United States.